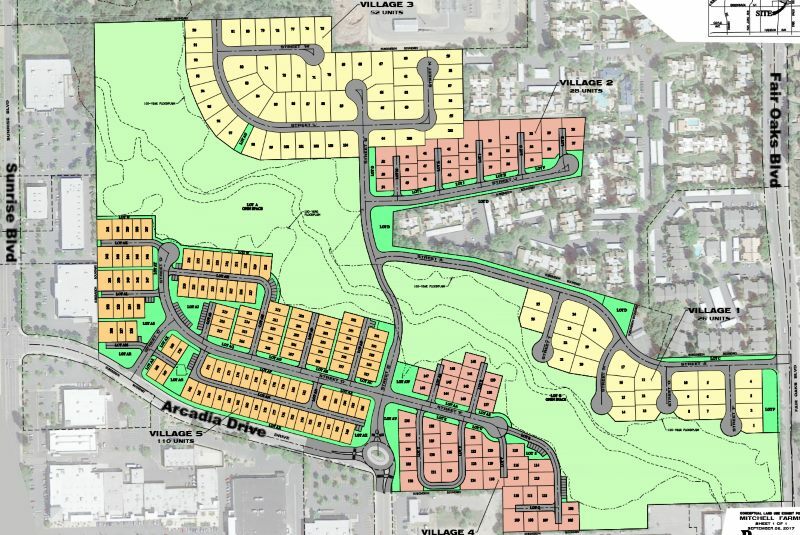 When I saw the latest map of Watt Communities‘ proposed 261-home development off Arcadia Drive in Citrus Heights, immediately two major concerns for public safety came to mind. I believe the city should take advantage of the early stage of this development to require two changes to address the public safety challenges. 1. Make sure there are no wood roofs or wood siding. 2. Make sure the foundations raise the dwelling units above the 200-year flood level. The first concern is fire safety. The recent devastating fires in Napa and Sonoma Counties should have set off alarms in the minds of local planning officials. Communities that were supposed to be fire safe burned to the ground. Coffey Park in Santa Rosa was an urban setting away from wildland dangers, but it was reduced to ashes and foundations. The Sacramento Bee ran an editorial last month saying that given the experience with these fires, we should all focus more on prevention. A fire captain who had been deployed to the Wine Country fires told me how the construction and materials in a house will help or hinder firefighters during a firestorm. Houses with wood roofs and siding will catch fire quickly and be almost impossible to defend in a conflagration. Houses with fireproof roofs and stucco siding will resist the flames long enough to give firefighters a chance to save them. The proposed houses should use fireproof roofing and stucco or brick siding in order to protect the buyers who will live in the homes. Changing the plans early will minimize the costs of these protective measures. The second concern is flooding. The Sentinel’s Oct. 12 article about the proposed development said that housing would be set back from the creek leaving open space within the 100-year floodplain, but from my experience working in the field of environmental and natural resources law with the State of California for 40 years, I know that the currently calculated 100-year flood level provides only illusory safety. If built as shown on the map, the houses will flood. To protect the buyers and future residents, the housing units should be raised at least to higher than the 200-year flood level by raising the foundations or other means. The 100-year flood is a flood estimated to have a 1-in-100 chance of occurring or being exceeded in any given year, but experience has shown that the hydrology used for the 100-year flood estimates was too limited. In the past 70 years, the Sacramento region has been hit with storms that have continued to set new records. The 1951 flood set a record. That record was surpassed in 1964. The 1986 flood eclipsed all prior records. Then, the 1997 flood was 20 percent greater than the 1986 event. These records were not included in calculating the 100-year flood levels, and these records show that our area is exposed to more serious flooding than we previously thought. Climate change is also expected to bring even more extreme weather events. In Citrus Heights, our main flooding concern is with our creeks. With the impervious roofs, driveways, sidewalks, roads, and parking lots, rapid runoff now makes our creeks rise faster and crest higher than in the recent past. A short, intense rain can put the creeks over their banks. Storms with less rain than a 100-year storm can put flow levels well-above the calculated 100-year level in our creeks. The damage caused by Hurricane Harvey in Houston should be a reminder of how expensive flood damage can be. If flood waters get into a house and cover the floor, the floor and most furniture will be ruined. Mold will set in. Dry wall will need to be replaced. And flood damage is often not covered by insurance. We should minimize the exposure flood damage for this new housing. Using higher foundations for new housing along creeks seems to be the cheapest and easiest way to keep flood waters out of new housing and to protect future residents from flood losses. Yes, we need more housing to serve our region. But we also need to protect the people who will live in that housing. By accepting these changes now, the developer may minimize the costs of making the changes and may smooth out the approval process for this project. Public safety needs to be considered. Norman Hill lives in Citrus Heights and is a retired natural resources and environmental lawyer with the State of California. He also held positions in the Department of Water Resources and Department of Forestry and Fire Protection. Have a different perspective on this topic or another local issue? The Sentinel welcomes letters to the editor and guest opinion columns on local issues from Citrus Heights residents. Click here to submit one.